Bromo Ijen Travel will give a totally different tour experience in Indonesia. Tourists can visit many beautiful beaches in other South East Asia countries. Besides, tropical forest and animal conservations are also found in many other places. But Indonesia is leading in volcano tours. Indonesia is the home of many volcanoes and almost all of them are active. However, the prettiness of the volcanoes is way more tempting compared to the danger that people can face. Besides, the volcanologists of Indonesia are professional in giving updated information regarding the status of the volcano. So, open trip Bromo Ijen will not be a dangerous tour to experience. Many international tourists are eager to visit Indonesia due to the tropical country factors. It is so comfortable to visit a tropical country with beaches, fields, wonderful weather, and of course volcanoes. People can also taste the delicious foods, fruits, and unique desserts. In addition, Indonesians are humble and so welcome to serve international travelers. Hotels, resorts, and spa are the best in Indonesia. Not to mention the superb culture including dance, song, art, and stage performances. For those who want to enjoy anything that a tropical country can offer, Indonesia is definitely the best place. There are countless islands to visit to enjoy all of them. After Bali, Surabaya Bromo Ijen tour package will surely give another world class enjoyment for foreign tourists. However, after Bali, what else? Travelers can visit an island right on the west side from Bali. With the culture and nature richness, East Java is also one-stop tropical island with many natural wonders to visit. East Java has various kinds of tourist attractions that cover beaches, waterfall, amusement park, garden, forest, and volcanoes. East Java, perhaps, the best part of Indonesia with the most stunning volcano Tour. Travelers must book Bromo and Ijen tour to witness the beauty of East Java through two magnificent mounts. The world offers various tours such as a ship cruise or a train cruise. With the journey, travelers can find a great moment with themselves. People can find their true identity and obtain the real-life value while exploring each place. In Bromo, people can taste that exclusive feeling of a journey within the cracking tangerine sky when sun rises slowly in the sky. That experience is offered from 60 USD per package. 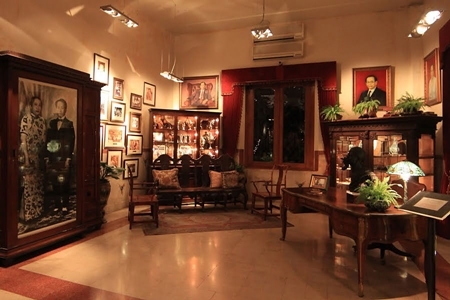 A midnight tour that from Surabaya is affordable as well. The price is way cheaper compared to the ship cruise and others luxurious travel. The luxury of Bromo Ijen Travel is not in the fanciness of amenities. It is luxurious in the way that travelers will witness a huge natural wonder in a very breathtaking place. The smoking crater makes the landscape perfect. People can take as many pictures that they like. 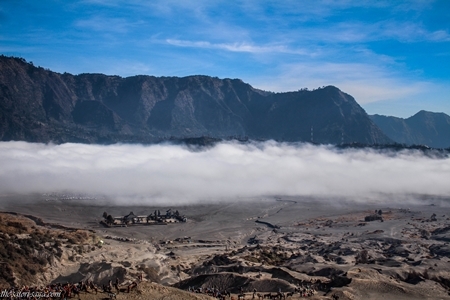 Mt Bromo tour price is that affordable for the fanciness that it offers. Bromo tour price is offered at various rates in different travel agents. The cheapest rates are not always the best. Yet, travelers can still find a professional travel agent with the fair price. One of my recommendations is JavaTravelline. This travel agent offers Ijen Bromo tour and travel cheaps prices. Package midnight in Bromo and Package in Bromo 3 days 1 night are all available. Even those who want to take a whole package of Bromo Tengger National Park for 6 Days and 5 Nights can trust their travel in this agent. Bromo Ijen Travel will be one of the most special hiking moments for everyone. Even, those two mountains are Indonesians’ favorite. The natural phenomenon of flue fire, a turquoise lake in Ijen Crater, and the wonderful view Ijen volcano will make the Easy Java journey just flawless. Besides, tourists can also join an extended tour around Ijen Crater. The amazing cocoa and coffee plantations around Kalibaru will be a great destination in Ijen tour package. Kalibaru is a wonderful village with the colonialism traces. In addition, it is also enjoyable to also take the ancient railway tour in Kalibaru. Besides, while spending some time around Ijen, tourists can visit Sukamade to get pleasure on a beach with natural sea turtle conservation. Tourists can join the unforgettable experience of sending the baby turtles to the sea. Check the official site and enjoy your moment in East Java, Indonesia.